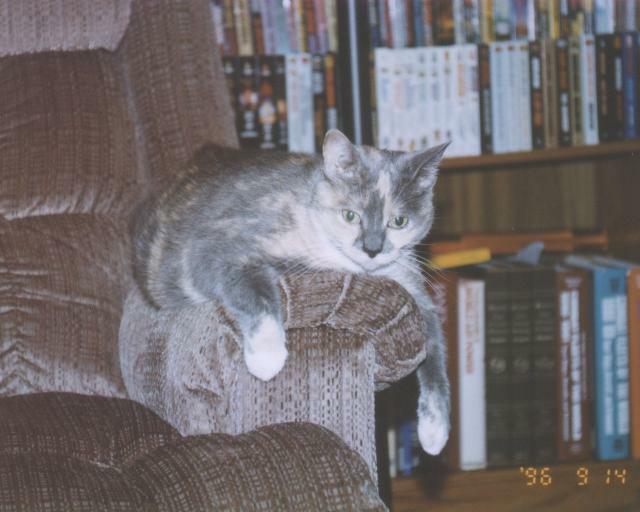 This page is a memorial to a beloved companion of over a decade. I don't expect it to be of interest to anyone else, but I feel better putting this up. In 1985, a friend was feeding a stray kitten which had appeared on her doorstep. Since she already had six adult cats, she wouldn't let this kitten indoors. With winter approaching, it was clear the kitten was not going to survive the weather outdoors and I became cat-owned. 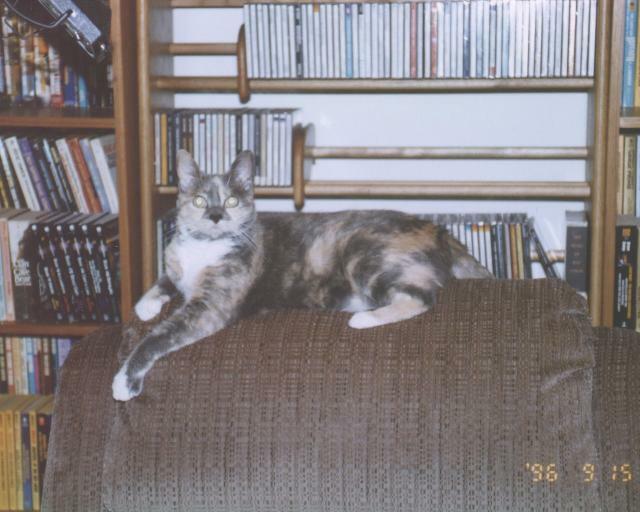 The kitten was named Lynx and eventually grew into a fairly large, beautiful calico. 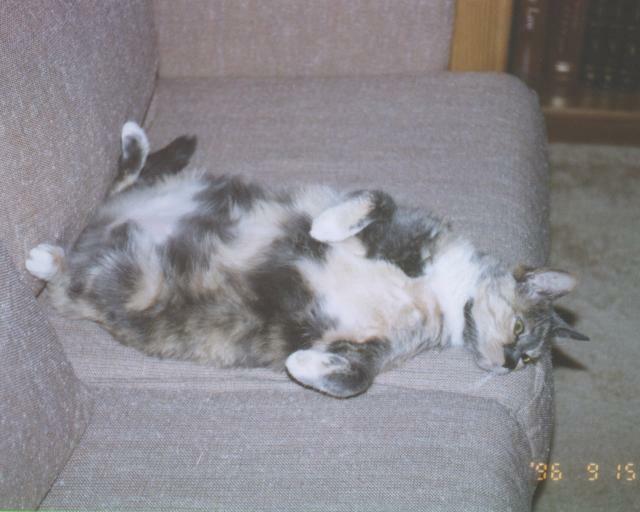 She became one of the most affectionate felines it has been my pleasure to know. Lynx became suddenly ill on Sept 20, 1996. By the 24th we knew she had widespread cancer and I had her put to sleep. By odd coincidence, I happened to take some pictures of her less than a week before she fell ill - she was clowning around and I grabbed the camera. I received the developed film at about the time I was able to stop crying. When I think of Lynx these days, I think of a life she'd enjoy. A world where people wear thick pants so she can use them as scratching posts without objection, but soft and warm so she can luxuriate sitting in their laps. People who will scratch her under the chin and cuddle her for a few minutes at a time. Warm fuzzy armchairs in the sunlight, on smooth hardwood floors so she can roll golf balls around at high speed.